Taapsee Pannu and Bhumi Pednekar to co-star in Anurag Kashyap’s next ‘Saand Ki Aankh’. Bollywood actress Taapsee Pannu and Bhumi Pednekar are all set to share screen space for the first time in Anurag Kashyap’s film titled ‘Saand Ki Aankh’. 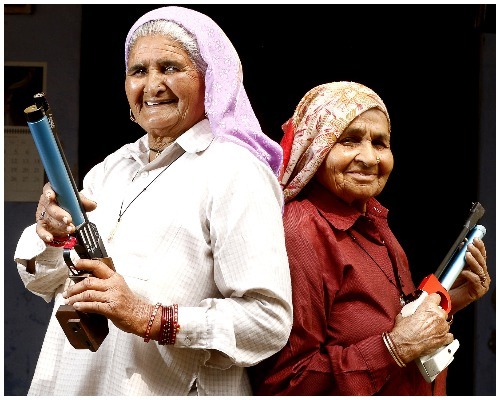 The film is a biopic based on world’s oldest sharpshooters Chandro Tomar nick named Shooter Dadi and her sister-in-law Prakashi Tomar aka Revolver Dadi . The first schedule of the film is set to begin on 10 February. Scriptwriter Tushar Hiranandani made her directional debut with the film.It will also be jointly-produced by Anurag Kashyap and Nidhi Parmar. Earlier it was report that film producer Anurag Kashyap and Pritish Nandy were arguing over the rights of the title ‘Womaniya’. However, after much ado the makers of the film finally finalized the title ‘Saand Ki Aankh’. Along with Taapsee and Bhumi, Gangs Of Wasseypur actor Vineet Singh and Ek Villain actor Shaad Randhava will also be play a pivotal role in the movie. Vineet also shared a post on Twitter about the same. Chandro, 87, and Prakashi, 82, are from Uttar Pradesh’s Johri village. Chandra has eight children and 15 grandchildren. She took one of her granddaughter Shefali to Dr. Rajpal’s shooting Academy. When her granddaughter struggled to target with gun for three days, Chandro took the gun from her hands and start shooting at a target where her first shot resulted in bull’s eye hit. The club coach, Farooq Pathan, impressed with Chandro’s shooting skills and suggested her to join the club. After starting her practice of shooting at the age of 65, Chandro did not look back. She took part in 25 National Shooting Championships and won all the tournaments. She won a gold medal at the Veteran Shooting Championship conducted in Chennai. Apart from Chando, her 82 year old sister-in-law Prakashi Tomar is also a shooter. She won many medals and trophies in various state and national level championships. 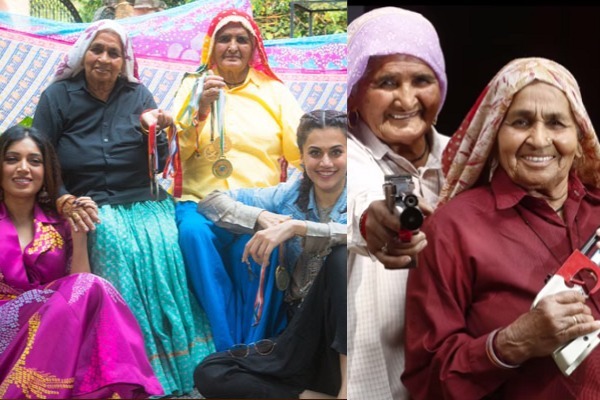 Shooter Dadi and Revolver Dadi’s success encouraged many people to take up shooting as a sporting profession, including their daughters and granddaughters. Follow us on FaceBook and subscribe Eventznu for all the latest entertainment scoops.